Picture The World – Indonesia | What an Amazing World! Indonesia. A country of 17,000 islands, 240 million people and series of volcanoes – some are of the deadliest in history. Volcanoes have always played a vital role in the archipelago, and will always do. Their eruptions brought demise to some civilizations, but also a new life for the others as the ash wafted away plentiful essential minerals to the already fertile soil. Java, the world’s most populous island with more than 135 million inhabitants, hosts some of the most beautiful volcanoes in Indonesia. Sitting in the middle of an ancient caldera with Mount Semeru – Java’s tallest volcano – in the background, Mount Bromo is undoubtedly the most iconic volcano in the country. The view of sunrise casting mesmerizing colors on the landscape around the caldera never fails to enchant every visitor, from casual traveler to globe-trotter alike. That is why I chose this picture to represent Indonesia for Picture The World Project. Thanks to Madhu of The Urge to Wander for the nomination. To spread the word I would like to nominate Jodi of Travels in Transit for her photos from her idyllic hometown a.k.a. paradise in the Caribbeans and Bente of Bente Haarstad Photography for his beautiful photos of Scandinavian nature. For more information about this project please refer to The Departure Board‘s website. Brings back memories … Mt Bromo and I had to wake up at the early Dawn Nice shot ! Thanks! I myself had to wake up at 3 am in order to be able to catch the sunrise. Great choice. 17,000 islands, really!!? Gorgeous photo. Thank you for getting up at 3 am to capture the moment of sunrise! Yes, or 18,000 on low tide. It was worth waking up super early, indeed! What a beautiful shot of Mount Bromo. Love the almost ethereal quality! Great choice Bama. Look forward to Bente and Jodi’s entries. Thanks Madhu! I was lucky because the day before it was drizzling. Btw just a quick fact, Bromo is actually the local spelling of Brahma! Thanks Annette! 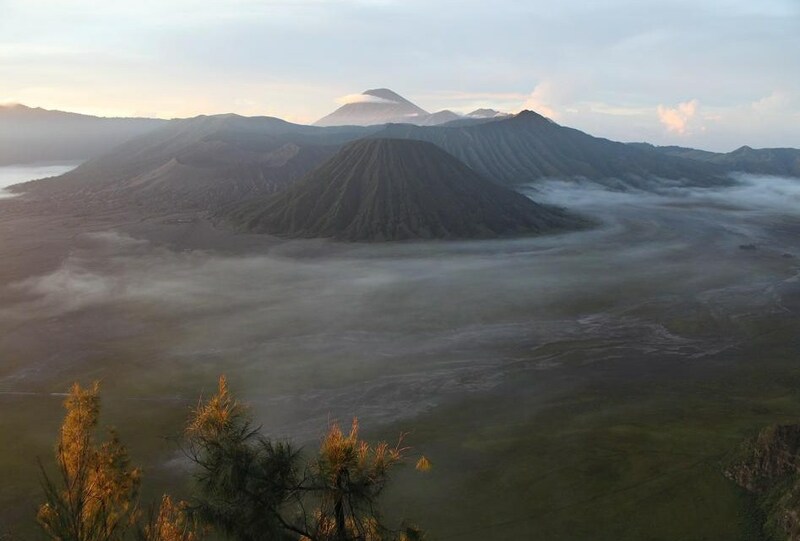 I hope you can visit Bromo one day!